Nestled away on the shores of the Adriatic Sea, enclosed within the beautiful archipelago of the Dalmatian coast sits one of the most unique, charming, exciting and memorable festivals in Europe. 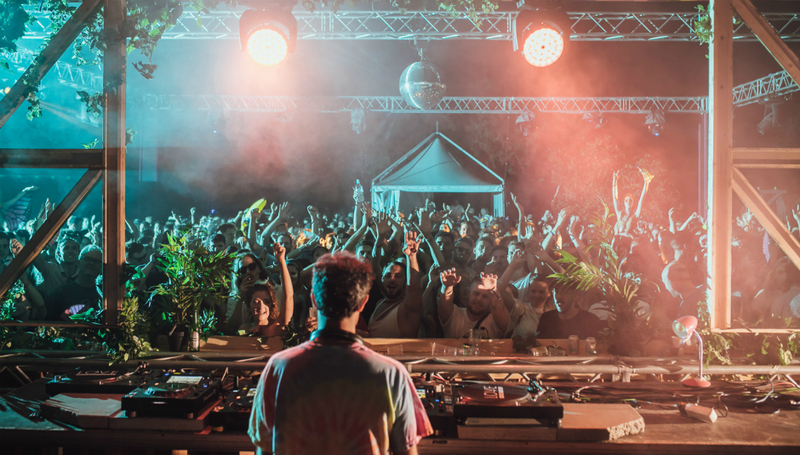 Croatia has been a central pivot-point for European festivals for some time now, yet The Garden in Tisno remains a place of joy, happiness, great music and a superb atmosphere from a varied and friendly crowd of revellers. Formerly the site of Electric Elephant, The Garden now plays host to Love International Festival. 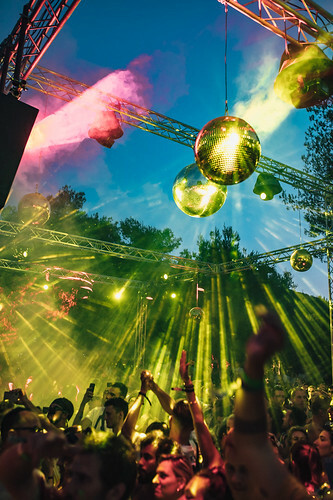 Many aspects of the festival are similar to a greater or lesser extent – the festival still revolves around the main festival site at the Garden, the boat parties taking place on the Argonaut and the Martina and Barbarella’s Discotheque. The crowd are somewhat younger now but friendly and full of enthusiasm. With the hotel bar and terrace giving way to trees and woodland interspersed with games of volleyball and crazy golf, and then spreading down to the clear and shimmering waters of the Adriatic, the site is a welcome delight. In addition, interspersed around at all times are a superb collection of sound systems, DJs and live acts that soundtrack the festival almost 24 hours a day. In short, it is glorious. After a late arrival on Tuesday evening, we stroll into the festival in glorious sunshine on the Wednesday morning, after a lazy and blissful walk through the old town on Tisno. The beach is already jam-packed with sunbathers and multiple lilos and inflatables bob up and down with the gentle current. Around this swirl the disco-infiltrated sounds of Jake Manders and Wayne Holland, who are followed later by a storming set from Man Power, culminating in a euphoric rendition of Kate Bush’s ‘Running Up That Hill”. Following that, we all pile into the free buses to take us to Barbarella’s Discotheque – an outdoor club under the stars with the sound of the sea mingling with the sounds of Young Marco and Optimo playing us through until the sun breaks through to tell us that it is morning and time to head home. Whilst Wednesday serves as the festival’s opening party, the whole site is fully in gear by the time Thursday rolls around. One of the best things about Love International is that you can take it fully at your own pace and adjust the level of madness exactly how and where you want it. If you want to sit on the beach and sunbathe, or swim in the sea whilst listening to a mixture of Balearic beats, disco and techno flitting across the waves – that is exactly what you can do. If you want to start getting down, there are four separate sites around the festival spinning a wide variety of sounds. We choose to head down to the Disco Deviance stage at the Olive Grove, where Joutro Mundo and Ray Mang give us some funky and slightly warped takes on the disco and house New York sound. What’s great is seeing both young and old – new kids to the scene and veterans alike – all bonding and sharing the atmosphere. We then grab a couple of terrific cocktails from the beach bar before heading to PBR Streetgang’s thumping, metallic techno set on the main Garden Stage and then finish the day off with Gert Janson on the Olive Grove until the early hours, whereupon the previous nights’ exploits catch up with us and we resolve to get a bit of sleep. We spend the majority of the Friday morning dodging rain showers, but mostly enjoying the brilliant Red Laser Records takeover of the Olive Grove stage, with Ste Spandex, Il Bosco and Sonofapizzaman all playing outstanding sets despite the rain. Nevertheless, Thursday’s highlight is the Low Life and Down to the Sea and Back Boat Party with Balearic Mike, Bill Brewster, Kevin Andrews, and Frank Broughton. 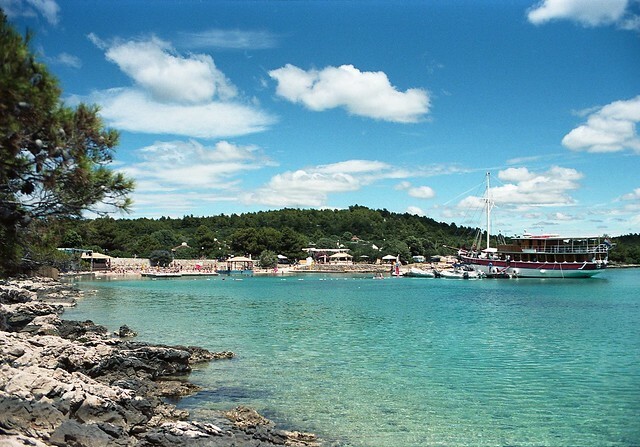 The boat parties are an absolute mainstay of the festival – twice a day, hordes of excited partygoers clamber onto an old wooden tour boat to be whisked away around the islands of the coast whilst listening to fantastic music pumping out. Today’s boat is truly a memorable experience – steadily building the atmosphere as the sun drops lower in the sky before hitting us with a series of memorable cuts that leaves the entire boat ecstatic and swaying on the deck. It is truly an incomparable experience – a front-view of some of the most beautiful coastline in Europe surrounded by brilliant people and great music. By the time the boat pulls into dock we are all delirious and wanting more, so we spend the rest of the evening at the Olive Grove with Trouble Vision’s showcase, keeping us on our feet with pulsing house grooves until the early hours. It is a late start to Saturday, as we nurse our hangovers with pizza and beer at the terrace restaurant alongside relaxing, soulful cuts from Raggy Jha. However, we cannot keep still for too long and soon we are at the beach stage, dancing by the harbour to Gatto Fritto and Bradley Zero. The previous night’s casualties sit around sipping beer or cocktails, whilst out in the sea, the brave and bold dive off pontoons and frolic in the sea. It is a scene of utter relaxation and happiness – part of the general atmosphere and spirit around the site. No posturing, no fights, no arguments. Just happiness and joy in the searing glow of the sunshine. Octa Octa do a terrific live set at the Olive Grove – full of taut, yet upbeat and funky house grooves and then we are off to see Joy Orbison on the Garden Stage. The set is a slow one to get started, lots of ambient sounds and grooves tentatively creeping in and out, but this quickly builds into a storming and stomping set full of disparate genres – house, dubstep, floating atmospherics and breaks that coalesce wonderfully together into a snapshot of contemporary UK beat culture for the last 30 years. It is an absolute joy to behold and a truly superb set to close proceedings as people clamber onto shoulders, whistle and scream in a communal celebration. After checking out Aficionado’s Kenneth Bager deliver a swooning, thickly-coated set of ambient sounds at the Olive Grove stage, we spend Sunday afternoon in the company of Katie and Joe at the Beach Stage, delivering a euphoric set of ever-building tunes as the crowds grow by the sea. They are followed by the excellent Zombies in Miami who do a brilliant job of bringing together minimal skeletal techno beats with guitar riffs, pulsing bass and vocal snippets. However, we only manage to get just over half the set in, as we need to head over to Floating Points, who is tremendous. The rich textures, complex grooves and contrasting dynamics of Sam Shepherd’s work is complemented here by a thick, fluid groove that steadily rises and falls during the set – an emotional and resonant journey. Shepherd’s work is unique in its ability to be dissected and cherished on record, but here in the middle of a club environment, it grows in size and scope. He's followed by the peerless Four Tet, who picks up the baton and delivers a quite stunning and euphoric set of intelligent and articulate puzzle-pieces that work on mind, body and soul – teasing, caressing and delivering in abundance. We’re left with such a buzz that we immediately head straight to Barbarella’s for another late night until the sun rises, only this time we take the water taxi from the site – skipping over the waves and arriving for a superb back-to-back of Craig Richards and Ben UFO playing glorious tech-house and funky classics to a sweaty, joyous crowd. We spend most of Monday packing our bags and getting ready to say farewell to the site, but there are still two final treats. Firstly, we get the pleasure and the privilege of going back on the Argonaut for another trip around the Adriatic, only this time back with Ben UFO alongside Job Jobse and Lo Shea. It is a slow and ambient start to proceedings – possibly necessary after the previous few night’s revels – but as the hours go by, we pick up the groove and get moving with a selection of deep cuts and soulful grooves that see the sun fall in the sky and the moonrise over the beautiful Croatian scenery. As we exit the boat, we are straight over to Crazy P Soundsystem at the Beach Bar who sees us through to the end with a set of funky and soulful house classics until we finally have to leave for our flight. Love International, and the Garden Festival in Tisno, simply have to be experienced to appreciate them. The whole atmosphere, music and surroundings make an experience to live long in the memory and to stir the soul. At a time where more and more mainstream festivals are homogenising, this absolute gem of a festival and jewel of a site stand out as something truly unique in the European festival calendar. 10 Acts You Have To See At Green Man!